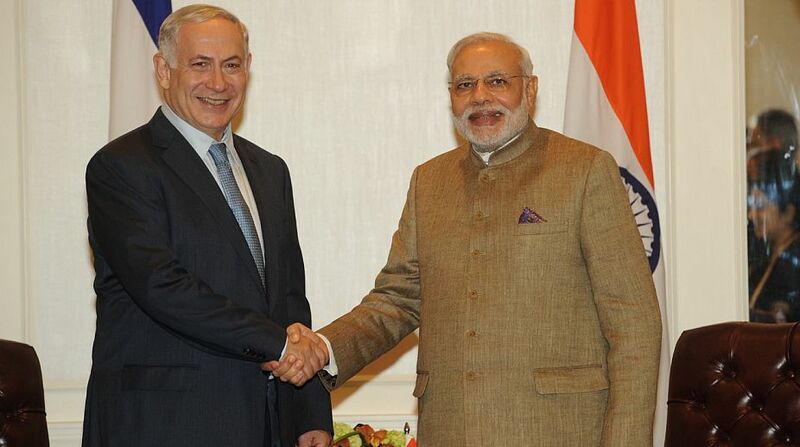 A mega road show has been planned by the Gujarat government when e Prime Minister Narendra Modi and his Israeli counterpart Benjamin Netanyahu visit the state and Ahmedababd on January 17, officials said on Monday. A high-level meeting, chaired by Chief Secretary J.P. Singh, was convened on Monday at state secretariat to plan for the visit, and the pacts to be signed between the state and Israel during Netanyahu’s visit. The roadshow will be from the Ahmedababd airport to the Sabarmati Ashram, similar to that held during Japanese Prime Minister Shinzo Abe’s visit. The task of arranging the roadshow and other functions has been assigned to the Ahmedabad Municipal Corporation (AMC). Besides the Ashram, the Prime Ministers will also be visiting the ‘I-Create’ center in Ahmedababd.